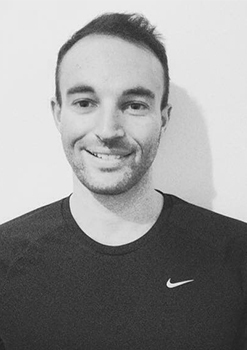 Bryce Gerovich — CRISFORD & CO.
My name is Bryce Gerovich and i am originally from Australia. My passion for sport and exercise has stemmed from a young age when I began competing in Australian Rules Football, Basketball, Tennis and Swimming. I have been working as a Fitness Trainer for over 7 years and have trained a range of clients including those associated with weight loss, athletic training, injury and cancer rehabilitation, the elderly, event preparation and pre/post natal training. With a focus on dynamic movement training and core conditioning, my philosophy is based on the entire body working together to improve functional strength, power, endurance and movement efficiency. This helps improve metabolism and an overall healthier well being. I have gone through a 3 year Exercise and Health Science University degree where nutrition is taught extensively throughout. This enables me to help guide you with this integral part of leading a fit and healthy life. I have also completed a Diploma of Education and had been working as a High School Health and Physical Education Teacher for 6 years. Certifications - Bachelor of Exercise and Health Science (University of Western Australia), Diploma of Education (University of Western Australia), National Council on Strength and Fitness (NCSF) Certified Personal Trainer.